I'm off to upstate NY for my cousins wedding this weekend! I'm so excited to see her get married and of course I can't wait to see my family too. 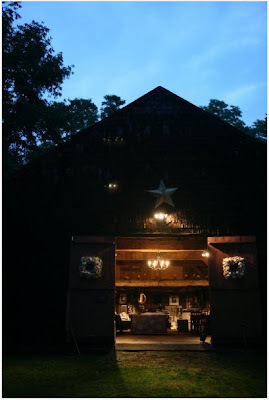 The wedding will take place at my Aunt and Uncles beautiful home which is the absolutely perfect setting for autumn nuptials...antique barn and all. 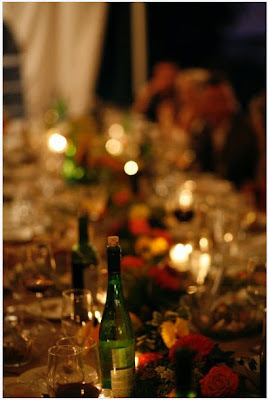 My Aunt sure knows how to throw a party so I'll be taking lots and lots of pictures of this wedding to share on Monday. Congrats Cousin, I could not be happier for you!! Beautiful..can't wait to see more pictures. Have a great weekend! Ooooh, did you take these pictures? Nice shots! Can't wait to see more! Lilah, I wish I took these, but they were taken by a photographer. What a beatiful home! It reminds me of the house in Father of the Bride. Can't wait to see the pics. Have a blast! Georg! 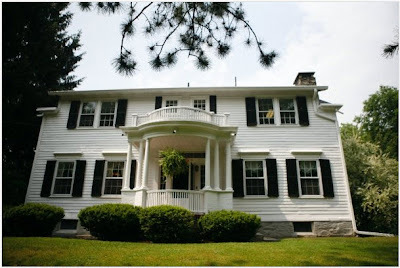 Have no idea what part of upstate NY you're heading to, but if you're near Saratoga, check out Genevieve's Home and Garden Shop in downtown Ballston Spa-it's to die for! Can't wait to see the pics! The house and barn are fabulous! What a FAB location...lucky! Have a ball and take tons o' pics!!! My husband and I are the parents of five little girls. 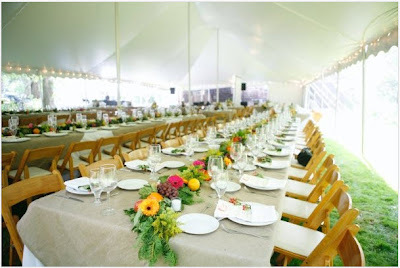 Whenever anyone brings up their weddings someday, my husband says "I am buying a big white tent and they will all get married at home. Can't wait to see more photos. Thanks for sharing! I love great wedding pics, can't wait to see! Emily I totally agree with you. It's like the Father of Bride house. I always wanted a big backyard wedding. It looks like you will be having a blast! Have fun!!! Have a great time! Hope the weather's lovely for the wedding! These pics are just fantastic, I'm sure you're going to have a blast. I hope you're having a wonderful weekend. I would like to invite you to come and participate in my giveaway. Ooooh. Heaven. It looks like the best and most personal place to have a wedding! Can't wait to see pics!